The biological world is organized to a large extent by natural cycles of variation in light and dark. These influence a wide range of processes, from gene expression to ecosystem function. However such light cycles, at least as perceived by many organisms, have been fundamentally disrupted by the introduction of artificial light into the nighttime environment. Understanding the severity of these disruptions is both challenging and timely: with the large scale and rapid introduction of new lighting technology and the use of “smart illumination” we now have the opportunity to adjust artificial light at night to reduce any negative environmental impacts provided that there is a good understanding of the effects of both intensity and spectral composition. 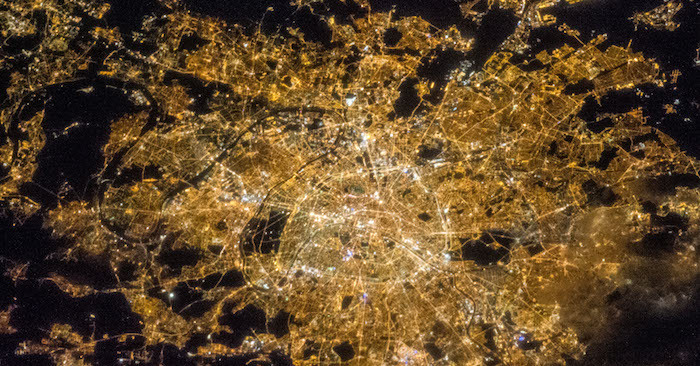 This issue, first published in March 2015, includes cutting-edge research on the implications of artificial light at night on a wide breadth of biological systems associated with light – from individual organisms to communities and ecosystems – is brought together. This issue also highlights many important targets for future work, and identifies ways in which practical steps can be taken to reduce environmental concerns. Remember, this important issue of Philosophical Transactions B is only accessible for free through September 2016. A big thanks goes out to the journal for allowing access and contacting IDA to let us know!